What a powerful, beautiful and GORGEOUS card!! I love that image, and you`ve certainly made it shine:) Stunning! Your card is gorgeous and I love that rustic background behind those beautiful blooms! TFS the story about your son and the wonderful things he’s doing to help provide dental care to those who serve our country. Congrats to him on his upcoming graduation! Awwwwwwwesome coloring and dimension. What a GORGEOUS card! What a gorgeous card! I love the color contrast here. Poppies are so beautiful and I love the dimension and enamal accents you added! 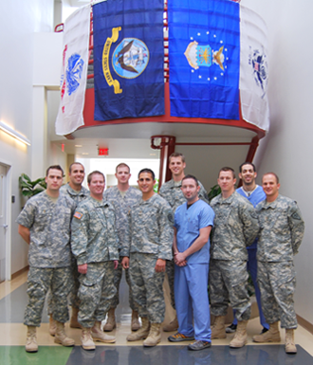 Thank you for sharing a story about your son and all wonderful things he and the hospital doing for our soldiers! 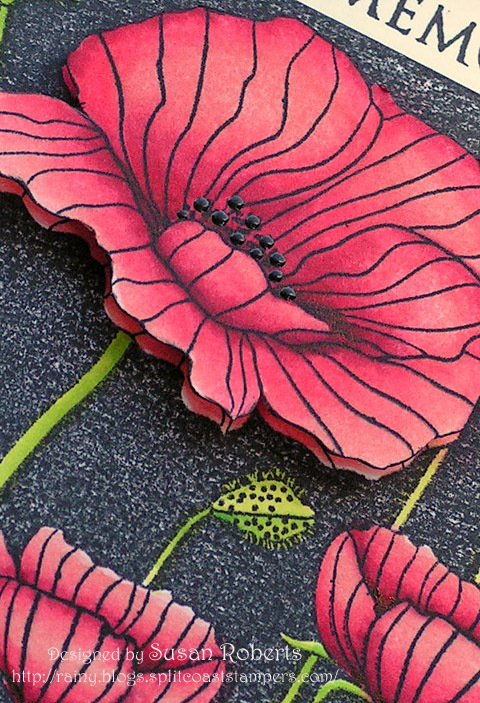 the HA poppy stamp is one of my favorites and you did a beautiful job coloring it w/copics. also am a army nat. guard mom – thanks for the neat story about your son. Beautiful card, your coloring is awesome! and what a great story!! Wonderful card – Thanks for sharing the wonderful story. Very inspirational. Absolutely beautiful card, Susan. Your coloring is gorgeous as always. I just ordered the black and white enamel from Ranger and can’t wait to use it. It’s perfect for the flower center. Thanks for sharing the story and congratulations to your son! Jaw dropping gorgeous! Congrats to your son’s upcoming graduation! Thank you to your son & this organization for what they are doing for our Veterans & troops! Your card is just stunning – I have that stamp and can’t wait to run into the craft room and try to imitate your look! I love the background – – – how on earth did you get the pebbly effect? Was it with the copics (I don’t know how to use those yet)? Your poppy card is beautiful Susan. I love poppies and your treatment of them here is just gorgeous. The background is very cool too, making a striking and very appropriate card. Fabulous card. I have this HA stamp and you’ve given me so much inspiration for its use. What a beautiful card and congrats to your son on his upcoming graduation. Susan, you card is fabulous. What gorgeous coloring. I love the enamel accents and the dimension you gave the flowers by popping them up. You must be very proud of your son. The clinic is certainly a wonderful memorial to Sgt. Ferrin. Stunning card! Love the black BG! My oldest is also in the Army National Guard – he is in the PR department for the Beyond the yellow ribbon campaign. oh you must be so proud of your son!!! Does a Mother’s heart proud doesn’t it?!!! This card is so very lovely! Beautiful card, Susan! What a proud mama you must be of your son. What a wonderful thing that dental clinic is! I have a brother-in-law who was is a veteran of the Vietnam war and has gone through a lot as he was in the thick of combat there. He is now on full disability but I know very little dental coverage is available to him and I think this clinic provides a very valuable service. Thanks for sharing your son’s story and this information. Beautiful card, love the effect the black enamel gives to it! What a wonderful thing your son is apart of, it is always great to hear there are people out there willing to serve those who served us. Your card is gorgeous, Susan! Fabulously coloured and I love the red and black. Loved the story about your son! Congrats to him on graduating from dental school and for his hand is such a wonderful organization! Those who serve give up so much and it is great to hear about those who give back to them. 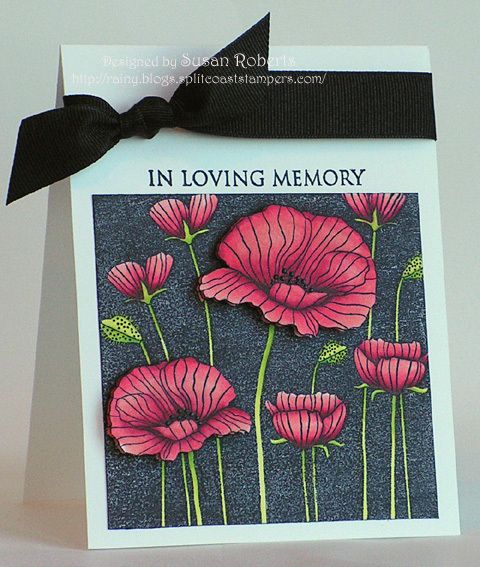 A very beautiful card, I love the poppies and congrats to your Son! I think it’s wonderful that he is giving something back at the clinic, you must be very proud. What a beautiful card..and a beautiful tribute to a deserving soul. Congratulations to your son! He sounds like a young man with a heart of gold. Unusual color palette sets an appropriate tone for this card. Thank you for assisting our veterans. This is an honorable mission. I’m proud and sad at the same time. You’ve made a beautiful card, Susan. Those Ranger enamels have me very impressed! I love that title…blog parade! Beautiful card! And thanks for sharing your story. Susan, thanks for sharing this story — you must be so proud of your son! Your card is stunning — your coloring is gorgeous, as usual! This is an absolutely stunning card, and the care and thought that went into making it is obvious! Thank you for sharing your son’s wonderful endeavors with us, too – you have obviously put a lot of care and thought, too, into raising him to be a wonderful man! Your card is stunning and seems so simple to make. I wish your son the best of luck in all of his endeavors. WOW. You are very talented. I think you are a real artist with the Copic markers. I am truly inspired. Gorgeous card…I love all the details that take it from simple to simply amazing! What a wonderful story and wonderful son! I know you are proud and you should be. Congrats to him and the new dental centre…I wish them all the best! Your card is absolutely gorgeous, Susan!!! I just love the poppies and your coloring is FABULOUS!!!! 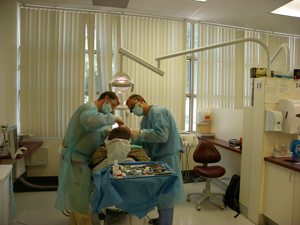 I loved hearing about the wonderful dental clinic you son helps with….taking care of our veterans dental needs is such a wonderful mission!!! My DH is retired Army and has had some dental issues in the past…I am sooo glad that someone has taken on this wonderful task to help veterans in need!!!! Kudos to your DS and his team!!! Beautiful card Susan!! And thanks for sharing the story of the clinic!! Absolutely stunning card! Must get some of that Ranger enamel..oh and REALLY practice the Copic colouring 😉 Yours is amazing! Congratulations to your son and thank you for sharing the wonderful story behind the dental clinic. Many thanks to all involved. gorgeous card – love the added dimension on the flowers. And a wonderful story. You should be very proud of your son and his commitment! What a beautiful card. The colors are brilliant. I wish your son lots of contentment doing this good work. Thanks for sharing your story! Best wishes! And a gorgeous card…the color is so rich, and I just love the dotted centers. That little detail really makes the card wow! Beautiful card! Layering just adds that little something to a card. Great colors! TFS! What a wonderful story about your son and his colleagues! Kudos to him and his buddies. LOVE this stamp…just made a card this week with it…was going to use it in the flower parade but it is for a friend’s birthday next week and I didn’t want to spoil it by putting it on my blog early. I sure do love what you did with it…really love the popped up flower. Must remember to do this! Thanks for the inspiration. Lovely card and a moving story. you must be so proud of your son and what he does (congrats on his grad!) by the way, that poppy stamp is one of my faves.. a stunning effect you achieved with the stamp!